For those who prefer value and reliability over style and thrill, the Toyota Rav4 is a decent compact crossover. This fourth generation SUV started the whole soft roader trend, and although the Rav4 has fallen behind competitors since its launch in 2013 and a minor upgrade in 2016, it still provides exceptional comfort, value, and space. The RAV4 comes in LE, XLE, SE, Limited and Platinum trim levels, all of which are available with front-wheel- or all-wheel drive, and equipped with a 2.5-liter four-cylinder engine with 176 horsepower, 172 pound-feet of torque, and a six-speed automatic transmission. 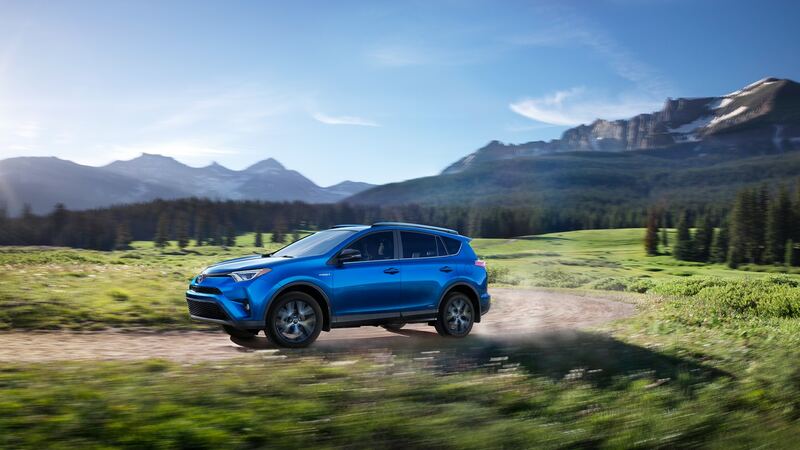 The Rav4 delivers an overall good performance, and even though it lags a little in acceleration, it makes up for it with excellent braking, electric power steering, and a balanced handling. Riding in the Rav4 is comfortable, with spacious interiors and supportive seats. Cabin quietness is also a standout feature in the vehicle. Even the base model LE comes with leather-covered shifter, seats, and steering wheel, something that many competitors don’t offer. Ease of use is high, with the controls easy to reach and prominent. Large, wide doors make it easy to get in and out of both the front and rear seats. The spacious cabin accommodates people of all heights, while the rearview camera makes it easy to back and park the car. Cargo space is enormous in the Rav4. Rear seats fold nearly flat, but the leftover height is low, and there is no power liftgate either. Small item storage space is also compromised. The Toyota Rav4 scores big on the technology front. For starters, there are advanced safety features that are only offered in high-end cars. As part of Toyota Safety Sense P (TSS-P), the following programs are included as standard on every trim: Pre-Collision System with Pedestrian Detection, Automatic High Beams, Dynamic Radar, Cruise Control, Lane Departure Alert with Steering Assist. You also get a few standard convenience technology features, like the Bird’s Eye View Camera that lets you see everything around you while parking, Entune infotainment systems that provide a clear view and calls out directions, and the Siri Eyes Free voice-activated controls that allow you to integrate your smartphone with the infotainment system to be able to send text messages, phone calls and more. If looks are not your top priority and you prefer a reliable ride, the Toyota Rav4 is the best compact SUV in this segment. Let New York Autobrokers serving the Suffolk County and Islip area use their 20 years of experience to get you the best lease payments or price on any car make or model of your choice. Call us at 631-446-4455 for more information!